Fall…. The crunch of crisp leaves on the ground. The smell of pumpkin spice all around. The cooler weather and the cozy nights snuggling by the fire. I love it all! Fall is slowly but surely arriving in our neck of the woods and I welcome it with open arms! 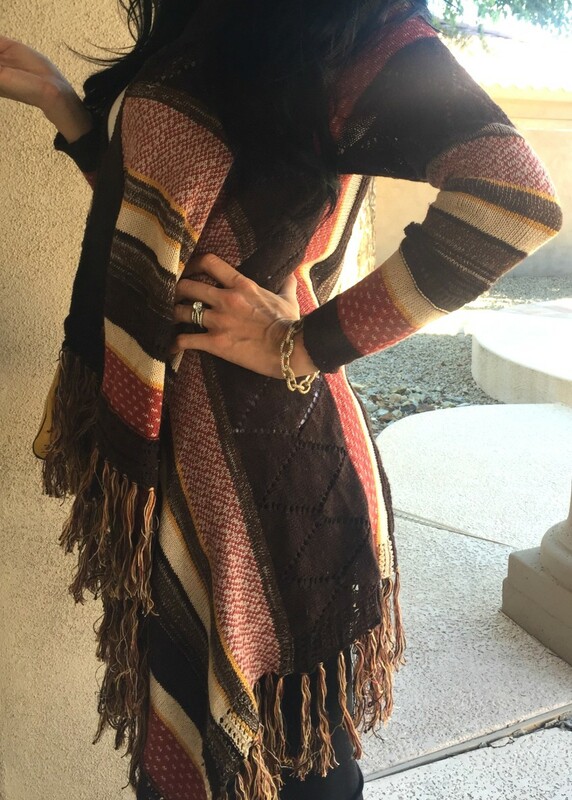 I’m sure you have already noticed that blanket scarves are all the rage! Have you found a fun blanket cardigan yet, though? They not only feel cozy, they look cozy! I mean – the fringe, the knits, the colors! I am just loving the colors in this cardigan – the brown, mustard, and rusty red tints greet the season of sweater weather. I have linked some other beautiful blanket cardigans, too. You’ll notice there is such a wonderful variety of colors (and price ranges)! What is your favorite kind of sweater for fall? Fill me in! Thanks for taking time to stop by! Jules, I LOVE this cardigan! It is perfect for Fall! This is adorable and reminds me so much of mom’s! Love how it’s so fashionable AND cozy looking! I am loving this hint of the 70’s!